I wanted to share with you a new homeschooling planner I bought this year. I usually don't use formal planners like this one, I always usually use a simple cute binder to get me through the year. This year I will probably use a bit of both, with the binder mostly to store. 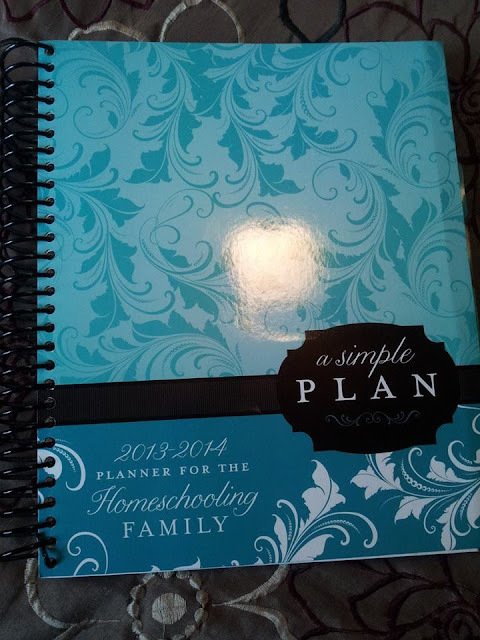 It is called A Simple Plan: Planner for the Homeschooling Family, which by the way you can also get the online version free, but since I did not like the idea of printing it all out I just bought it instead. Let me just say that I am very picky about planners. They need to have everything I need and have spaces that are vertical so I can write things out in a list fashion. They also need to have lots of space and this one, being an over an inch thick definitely has space for my ideas to grow. 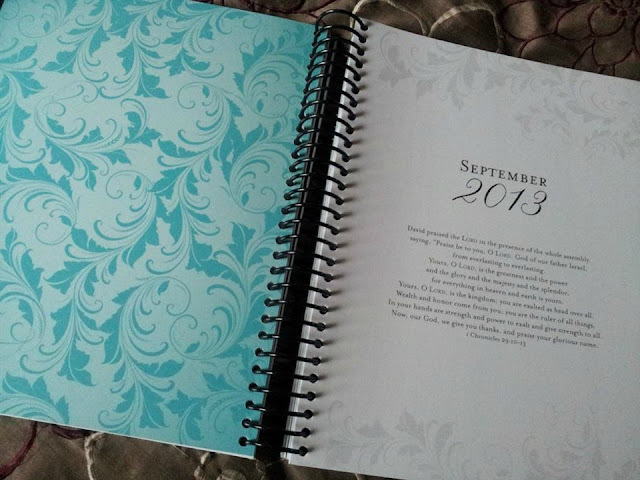 This planner is pretty, has Bible verses, and also has planning space for up to six children. Even through I am teaching seven this year, the twins are learning the same thing so it works out perfectly. As a mom of 8 and homeschooling veteran of 16 years, I was thinking about how homeschooling moms need to keep homeschooling simple. 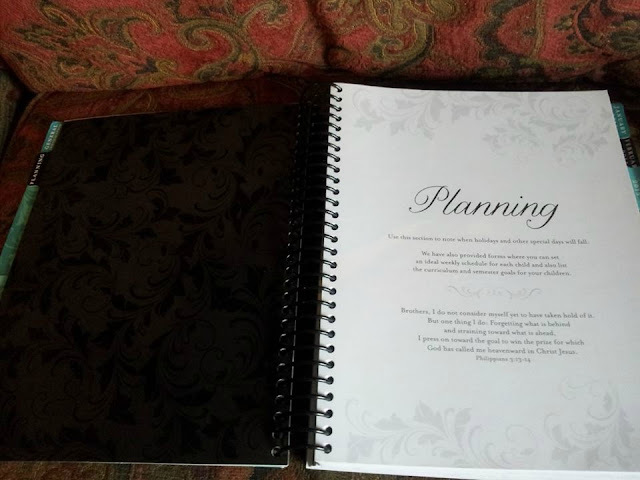 We can get so wrapped up with planning and over complicating things that we really don't need to. Even though I bought this planner, I love how in the beginning it states NOT to feel like a failure if you do not use it in it's entirety but use it as a tool to help me. I do not need to fill in every blank space with something to do. Which works perfectly for me since I refuse to fill out a planner completely in advance because I know that so many things can crop up through the school year. I try to do just a few months in advance so I can work in what needs to be updated after those months have passed I can get a better idea of where we are realistically at. 1. Keep it Simple--Sometimes us moms can be over zealous, over commit ourselves, and find that we are burned out by the first month. We need to closely examine our schedules and even ourselves and look realistically at what is truly doable. I know of so many moms who took weeks planning out their entire year only to find an illness or unexpected move put a wrench in all that planning and in turn they felt they had somehow failed. We can't let the to-do lists run our lives, they are they only to help us and not dictate every minute of our day. I think we always need to keep flexibility at the forefront of it all especially since life can throw some unexpected curve balls. 2. Don't Over Do It--This is especially true if your children are really young. I believe that if they are small you don't need to rush into schooling just because everyone else is doing it. Take it easy, work with them slowly and to their pace, and take cues from them when they need to take a break. Yes, it is good to teach your child to be disciplined in their schoolwork, but it is also good to remember that while they are young ages it is good for them to play and learn too. They will learn to read when they are ready. Sometimes it is easier to wait a bit and avoid alot of frustration and they will learn quicker as they have matured some and are ready for the material. 3. Don't Compare--Trust me, you will meet other women who have their children involved in what it seems like every activity under the sun--they will constantly be on the go, their homeschooling will seem to run seamlessly, and their children will look perfect. Ladies, don't compare yourselves to them. You do not have to do it all. Please remember that no one has it all together, not you or her. Keep it simple and take one day at a time. Keep your eyes fixed on God (not others) and trust Him in how He will mold and shape your homeschool. Be steadfast in order to be able to finish the race strong. 4. Protect Your Time-- The wisest piece of advice I ever got was this-"In order to homeschool, you need to be home." With my large brood I knew that running from one activity to another was not for us. We needed to slow down, we need to have time to read, talk, and discuss. I needed to have time to disciple them. I didn't want their days a blur with mom constantly saying "hurry up!" and feeling rushed. I also wanted to make time for more important things--the best things, like sitting at the feet of Jesus and building and nurturing strong relationships in our home. It's okay to slow down, even when no one else is doing it! Busyness is the world's mantra but it doesn't need to be ours. Other ideas would also be to let your answering machine answer your phone, shut down the internet, and limit having visitors over during school hours. 5. Evaluate What You Are Really Doing--Over the years I knew of several moms who were using a free government program for their home school and were ready to throw in the towel. They struggled to abide by the standard this program placed on their home and their family, not to mention that some of it also conflicted with their Christian values. They felt stressed, relationships were strained, and the home learning environment was stifled by "the rigid schedule". Some were so completely overwhelmed and burned out they quit homeschooling altogether while others wisely tossed out the program for a more relaxed approach. What I am trying to get across is that we need to really think through what is causing us trouble--is it really homeschooling or just the tools we have chosen to work with? Can they be changed? Can we try a different method? Do we need to slow down or speed things up? Do we need to come up with a solution that is simpler? 6. Assessment Time--About every week/ month I will look back and assess how things went. Is the book working? One year I had to change books in the middle of the year because something just was not working at all, no matter how much I wanted it to. It was not a disaster at all, it actually worked out for good in the end. I also try to ask what do I not like and what do they not like? What can we eliminate and how can we inject some fun into our days? How can we just do this better? 6. 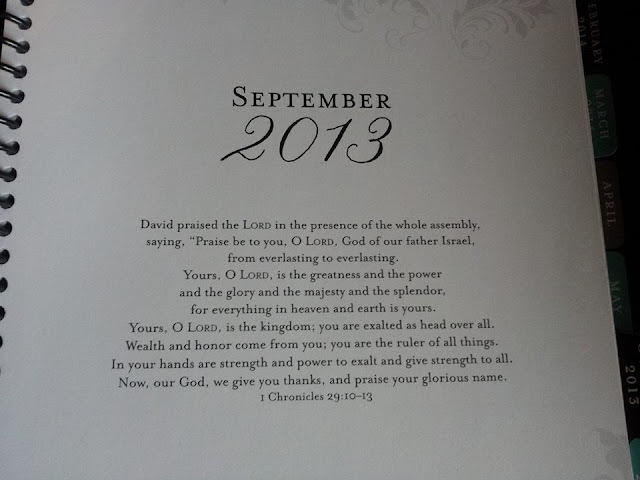 Trust God--All of us have different circumstances and only God can truly be the One who helps us through the year. He knows our strength and He knows our weaknesses. We need to ask Him for guidance, wisdom, and vision through it all (and don't forget our husbands too). We need to prayerfully approach the year with the Lord as the center of our schooling. After all, He is the reason for it all, we must remember it is not all about academics but the core of our curriculum and planning should help bring our children closer to Him and equip their futures with a biblical worldview. You can find more homeschool planners HERE. Do you struggle with keeping homeschooling simple or have ideas to help? What piano music CD is used on your sight? It is so soothing, and I would like to use it for my home. I too am a 16yr homeschooler with 9, the 4 eldest being graduated now! What excellent points you have made. I learned some of these by trial and error. lol All except the running all over part. From the very beginning my husband said we were not going to live in our van! That has been such a blessing in our family. I have shared these same principles with a lot of new homeschooling moms of late. Thanks for putting these out there for folks to ponder on! I'm definitely sharing them! 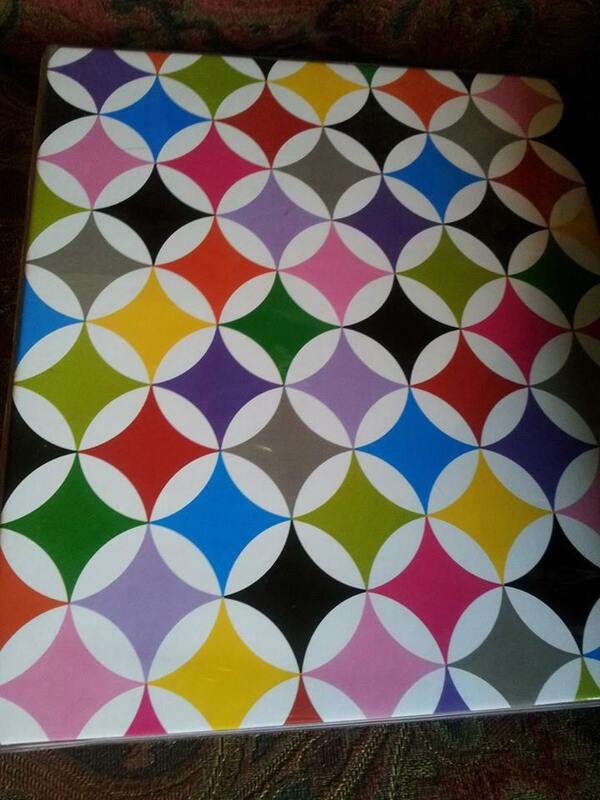 I am missing where to get the online version that I can print. Do you have a link? I think it is wonderful that your husband was intentional with protecting your time. What a blessing to have husbands who will lead and bless their families. Thanks for stopping by and sharing! I was looking for just the right planner at the beginning of this school year, then read your post. I immediately ordered it, and it is perfect! It has been an invaluable tool. Thank you so much- for all you do. Your blog is amazing and has been such a blessing to me.